Department of Endodontics at the prestigious New York University School of Dentistry. Dr. Sigurdsson epitomizes the benefits that educational exchanges give Iceland and the United States. 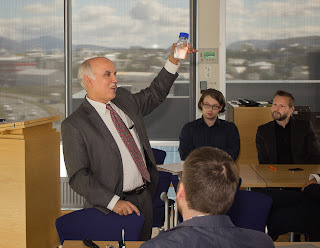 Throughout his distinguished career in dentistry, Dr. Sigurdsson has worked both in Iceland and the United States building bridges between the University of Iceland and the University of North Carolina by providing opportunities for Icelandic students to go the U.S. and for American students to come to Iceland. 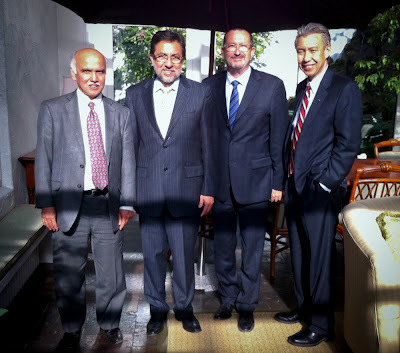 We wish Dr. Sigurdsson much success in his new position knowing that he will continue to build those bridges that are so beneficial to both countries. This summer, we have the fortune of having an intern from Louisiana. Brittany Crockett, a law student at Louisiana State University, brought more than her smarts and hard work to our Embassy; she brought us a taste of Louisiana and shared it with the Embassy. 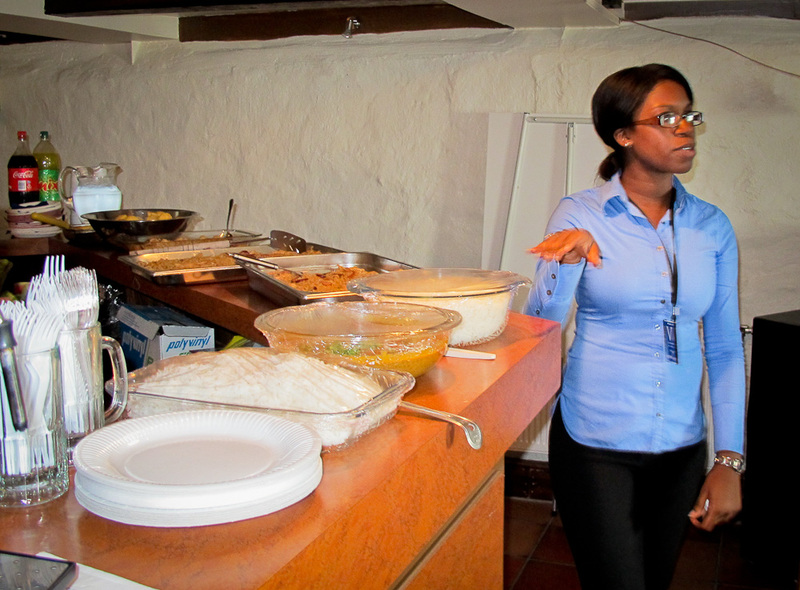 Brittany invited the entire Embassy staff to taste several versions of the world famous Jambalaya – a tasty Louisiana Creole dish. Many of our Icelandic colleagues tasted it for the first time and rated it AAA+. We’d love to see a Cajun restaurant open in Reykjavik some day. 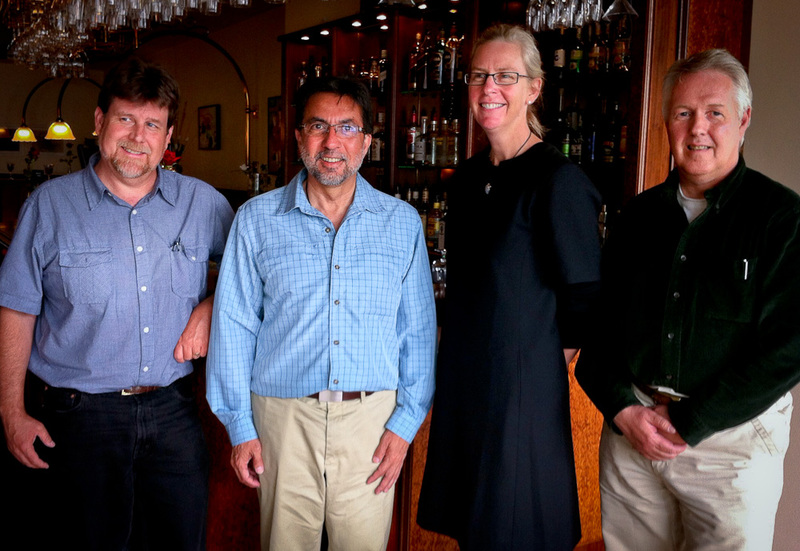 American-Icelandic scientific cooperation at the frontier of climate knowledge. We welcomed U.S. Research Vessel Knorr to Reykjavik this week. The Knorr, which is operated by the Woods Hole Oceanographic Institute, is known as the vessel that discovered the Titanic and hydrothermal vents at the bottom of the ocean. 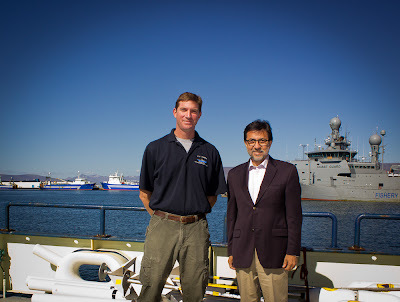 The Knorr has been visiting Iceland for many, many years to conduct oceanographic research in the area. One of its recent trips was used to study the recent discovery of a warm current around Iceland by two leading Icelandic oceanographers. The potential implications of the newly discovered current for climate change could be enormous. The archeological dig at Gufuskálar is a great example of the longstanding partnership between American and Icelandic premiere scientific institutions. A group of American and Icelandic archeologists have been digging the site where a large Icelandic fishing station operated at least since the 15th century. The site promises to provide invaluable insights into the practices of Icelandic fishermen who traded dry cod with European merchants. It is quite possible that practices in the Snæfellsness peninsula differed from those of the West Fjords. 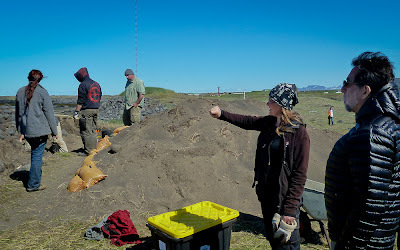 The project is a partnership between the U.S. National Science Foundation, the Icelandic Archeological Institute, and the City University of New York (CUNY) system. Our best wishes to Frank Feeley who is writing his PhD dissertation on Gufuskálar. Iceland’s stunning landscapes have proven an irresistible magnet for top American photographers. I recently learned about an excellent opportunity for photography aficionados to learn from some of these master craftsman. Focus on Nature, an Icelandic company, has been very successful in attracting top American photographers to lead intense photography seminars that take advantage of Iceland’s long summer days and magnificent vistas. This week I had a chance to meet Julieanne Kost, Senior Digital Imaging Evangelist for Adobe, and Sean Duggan, an accomplished author and educator, who will be leading seminars during the summer. Other top photographers conducting seminars later in the summer include John Paul Caponigro and Seth Resnick. This is a good example of American service exports making inroads overseas. 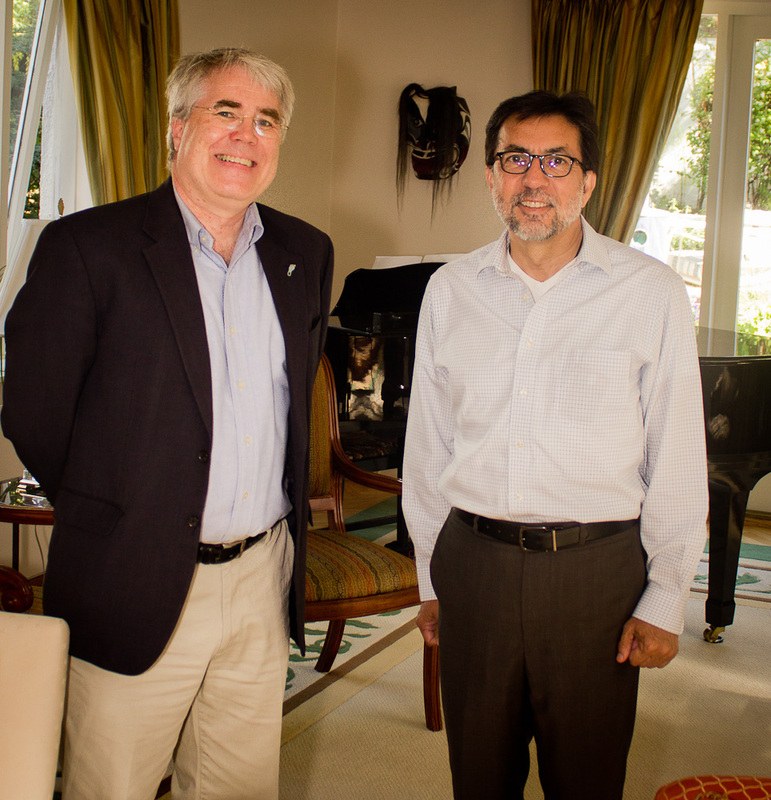 I welcomed Professor G.K. Surya Prakash and Robert Aniszfeld, Director and Managing Director of USC's Loker Hydrocarbon Research Institute. Professor Prakash is one of the world's leading authorities on hydrocarbon chemistry and an inspirational leader of the movement to promote the wider use of methanol as a way to reduce our dependence on oil and gas. The visitors have been coming to Iceland over the last few years to follow up and support the work of Iceland's Carbon Recycling International - the world's only industrial producer of methanol from carbon emissions. 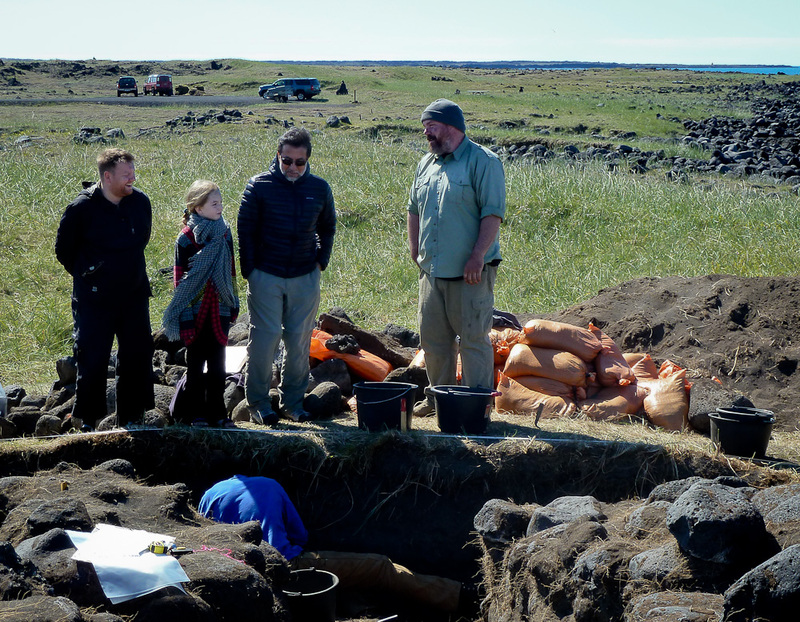 This is another example of cooperation between some of the world's top scientists from U.S. universities and Icelandic organizations.